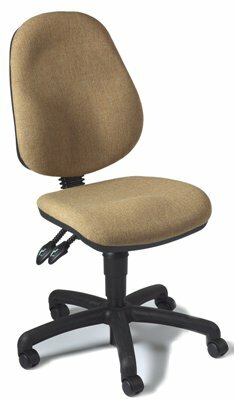 "the best seat in the house"
As any hobbyist will tell you one of the most important things you’ll need when sitting for long periods is a correct sitting posture, good support and probably most importantly comfort. The HORN Hobby Chair offers all these and more, it features a 3 lever mechanism, this gives precise adjustment of your seating position by allowing you not only to change the height of the chair but rake, seat tilt and back height positions...just like a luxery car seat. The HORN Hobby chair also offers a sculptured, deep luxuriously padded seat and back with an approved contoured lumbar support to fit perfectly into your body. It can be quickly raised or lowered to your desired position by means of a gas elevator and is fitted with a smaller castor base to allow you to fit easily into your sewing cabinet. 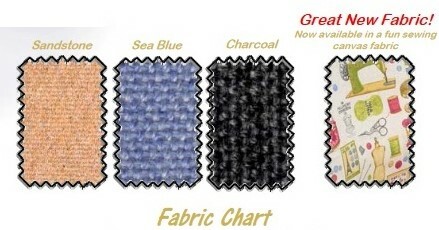 To finish off the perfect chair you have 3 hard wearing fabrics to choose from. and nor HORN's spaecial 'Limited Edition' fun sewing canvas fabric as well. The HORN Hobby Chair is the perfect chair to finish off your perfect sewing room. Endorsed by: R. QUINN, MCSP, Reg.Mem. HPC, Mem.IEHF and ACPOHE.